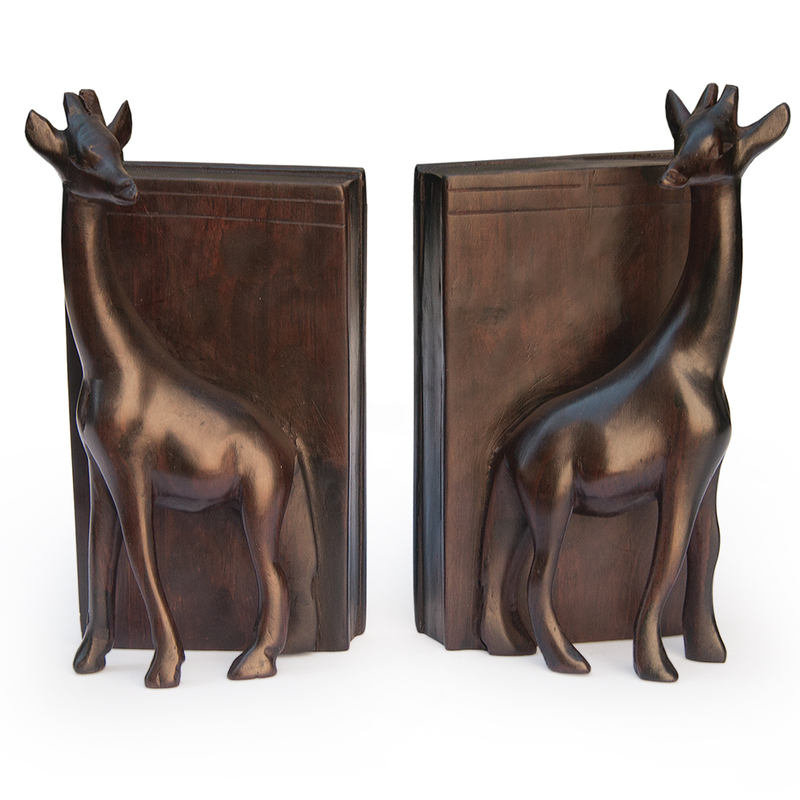 Handcarved out of rich, ebony wood, these giraffe bookends make a great accent to any shelf! 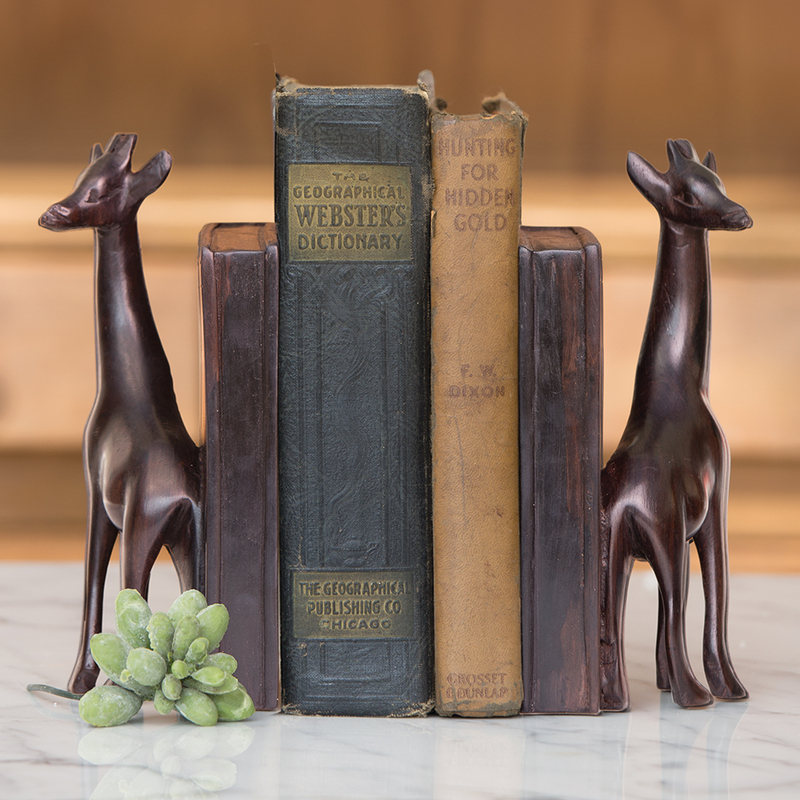 Each bookend measures 2.5-by-7 inches. The perfect accent to your personal library. 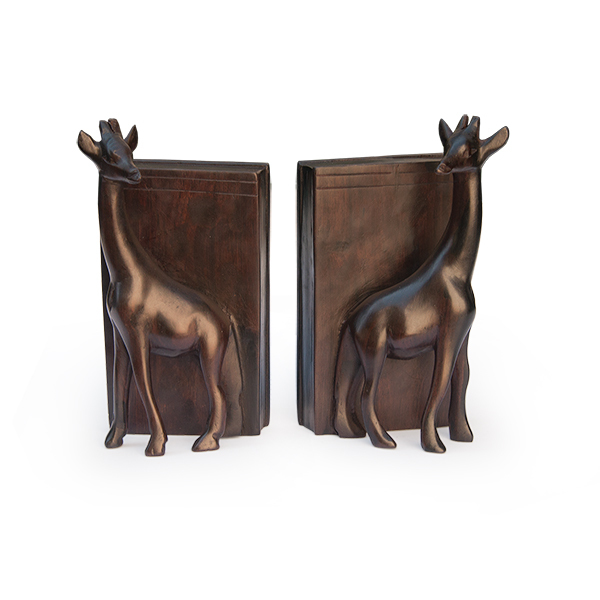 Carved out of rich, ebony wood, these giraffe bookends would make a great accent to your shelf! 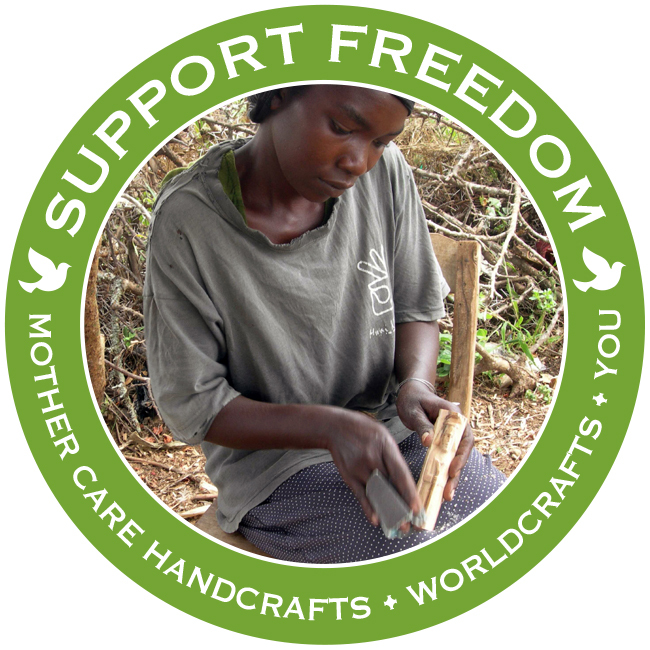 Benefiting more than 400 families in Kenya, Mother Care Handcrafts helps provide work opportunities for disadvantaged families in centuries-old traditions, such as carving and basket weaving. Artisans are then able to feed and clothe their families. 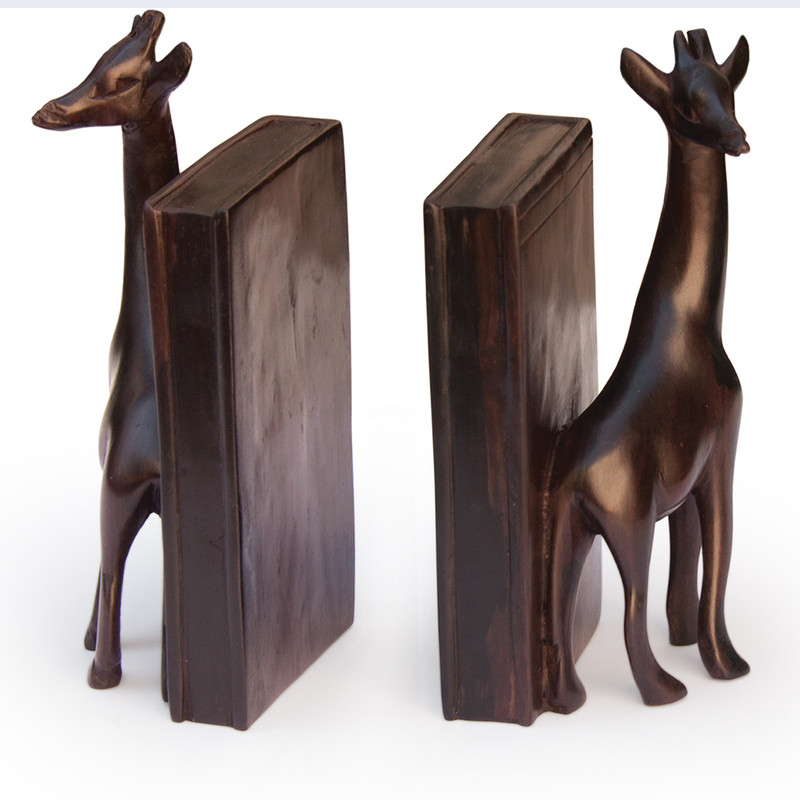 Each bookend measures 2.5-by-7 inches.